If the latest raft of retail trading updates are anything to go on, it’s pretty clear who the winners were this Christmas: the consumers. A period of heavy discounting – aimed at bolstering weak sales and protecting elusive customer loyalty – was good news for cash-conscious customers, but left many retailers nursing a hangover and fears about what lies ahead. There’s no reason why 2014 can’t be a win-win for retailers and consumers. The SAS and Conlumino report, Retail in 2014: Trends and Winning Strategies, forecasts retail spending to grow by 2.4 per cent this year, to hit £324 billion, and identifies a number of exciting opportunities across ever retail sector. However, the report also found that consumer concerns over household and national finances will continue to affect buying decisions. In particular, we expect to see shoppers shifting to "considered consumption," putting value ahead of price at the heart of buying decisions. Transform your physical stores to recognise their evolving role. Be more creative and targeted with multi-channel pricing and promotions. Forecast and plan to drive sales, meet demand and maximise profit. However, for any of these strategies to succeed, you must be able to quickly and accurately know who your customer is, what they value, and forecast what they’ll want to buy, when, at what price, and through which channels. To do this, you’ll need to be able to collect and analyse the valuable clues left by shoppers every day via purchasing habits, online browsing, apps, loyalty schemes, reviews, social media and location-based technologies. Unfortunately, few retailers are putting these data clues to good use and turning them into the most valuable tool of all: customer intelligence. They are therefore unable to make fact-based decisions about range architecture, pricing and promotion, forecasts and inventory, store design or staffing. Sound familiar? Then it’s time for a change. Download Retail in 2014: Trends and Winning Strategies to learn what lies ahead for consumers and retailers in 2014 – and how you can harness big data to make the most of the opportunities it identifies. 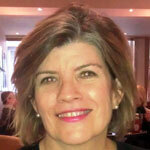 Cindy joined SAS UK in 2010 as a Retail Consultant. Her focus is to help build and drive SAS UK’s retail business, with responsibilities that include increasing the awareness of SAS to potential retail customers, liaising with existing customers to ensure satisfaction and speaking on behalf of the company at key industry events. Her knowledge and skills enable her to quickly address customer challenges within a specified budget and timeframe, ensuring positive outcome for SAS and its retail customers. Cindy brings a vast amount of experience to SAS. She started her career as a sales associate with Canadian retailer T. Eaton Company where she worked her way up to section head learning the trade and complexities involved in running a successful retail business. Since then, she has held roles in a number of major organisations, including Hewlett-Packard, SAP UK, and most recently Cisco which she joined in 2006 as industry business development manager for retail.